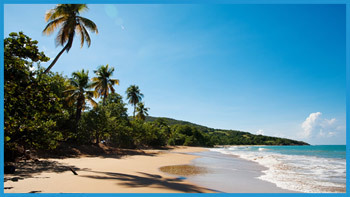 It is more than twenty addresses that we have found you all around Guadeloupe mainland. At the start of your hiring we will give you our Road-Book in which you will find both wild spots advised by Gwada'Camp as well as the addresses of the locals / hosts. You make your own route and choose your spots according to your desires and interests. Your hosts will be happy to welcome you on their grounds or garden, to prepare a real dinner in the Caribbean, fill up with water, connect to the 220V, access Wi-Fi, share a game of dominoes A dry in hand ...! 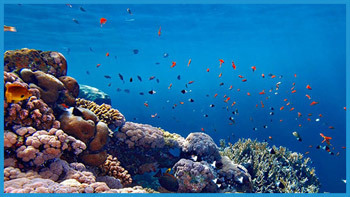 ), Etc ... A way for you to contribute to the tourism of proximity. Guadeloupe is a butterfly, a left wing with green colors (Basse-Terre) and a right wing with turquoise colors (Grande-Terre). Here, no need for a tour operator, our homemade road-book will be at your disposal in the van. You will make your itinerary yourself according to the various points of fall proposed by Gwada'Camp combining security, landscape and amenities. Guillaume and Ludivine will welcome you in the lobby of the airport to take you to your campervan. To avoid driving the first night after your flight, your traveling companion is parked by the sea on a well-ventilated cove. Once the presentations are made, we will share a welcome aperitif and we will give you the famous "road book" which will become your bedside book for your stay. Good and beautiful first night under the Guadeloupean stars. Thanks to jet lag, you will be up early and enjoy a first tropical bath, coffee and shower are just a few steps away for you! We return for the technical implementation of the van, finish the paperwork and above all unveil our best spots and good plans. 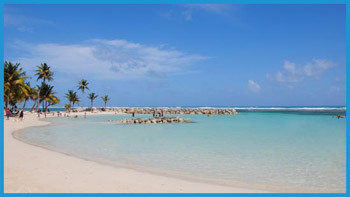 Mid-morning, you can start to "ride" to the turquoise lagoon of St Anne and its local market. Swimming paradisiac facing the Saintes and Marie-Galante - Possibility to practice windsurfing, paddle, etc ... A first local restaurant called "lolo" will transport you immediately into the culinary culture of the West Indies. The town of St-Anne offers many activities and beaches, you will find in the road-book your location for the night in wild spot or the inhabitant according to your desires. Discover St-François and drive east towards the Pointe des Châteaux, climbing the cross, you will discover an exceptional panorama over the whole of Guadeloupe and its outbuildings. The beautiful desirade of the sailors from the Atlantic. On foot or in a van, you will stroll along this coast to the wind worked by the spray and the Alizes. For your evening, you will opt for a plan alone in the world by the sea or you can share a meal with a Guadeloupean family at home!
? Do not miss the visit of the Damoiseau distillery through the town of Le Moule. Take the small roads with the many points of view on the coco cove, the tip of the Vigie ... Here, it is the Breton coast that has stalled !! At nightfall, the spots of Anse Bertrand will offer you a waltz of light on the Basse-terre de Guadeloupe. 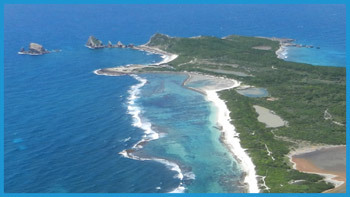 On the way to Basse-Terre by the north: Lamentin / St-Rose, the great cul-de-sac marina and its mangrove - In Kayak or motor boat, sail through the mangroves to dock on white sandbanks The islet Caret - Night in wild spot or the inhabitant according to your desires and the road-book. In the morning, a small detour to the Sofaia springs for a volcanic shower and warm in the wilderness - In this part of the island, you have only the choice between beach, river, waterfalls, ballad In the forest, on horseback- Night by the sea overlooking the islet Kaouanne and the northern islands. From Deshaies to Bouillante, this national park embraces the regional natural park of Guadeloupe - From the cascade of Acomat, to the lush garden of Coluche, this road is a visit in its own right! Do not forget to take the "Route de la Traversée" which, as the name suggests, crosses the regional park. And why not a night in the forest by the river ... you hear the hummingbirds, the frogs, the wind in the tropical leaves ? Nothing like a morning swim with the turtles of Bouillante and better yet, a dive in the ilets Pigeon to observe the coral reef and salute the bust of Captain Cousteau! In the direction of south Basse-Terre, gentlemen, ladies, think about washing the body of this black volcanic sand that offers a wonderful color contrast for lovers of photography. If you wish to immerse yourself in the tropical forest, Gwada'Camp invites you to take the direction of the 1st and 2nd fall of the Carbet. On this magnificent road, make a picnic stop at the Grand-Étang, then a little further, the "bassin paradise". Under our advice, we will give you our good plan to find a basin of natural hot water in nature. Walk along the Soufriere volcano because, quite honestly, we are far from having the most beautiful volcano in the world and your traveling companion will thank you for this tourist avoidance. 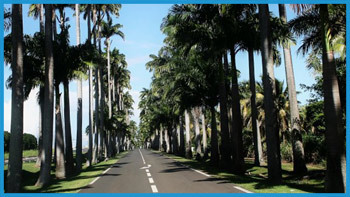 You will go up from south Basse-Terre without missing the Dumanoir alley: royal coconut trees implanted on both sides in a voice now reserved for lovers of the road. At the right time, you will count on Ludivine and Guillaume to take you back to the airport.